Firemonkeys, the new studio from EA, combining the IronMonkey and Firemint gaming studios, has just announced the third iteration of Real Racing. 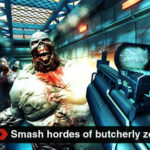 The original cutting-edge game was released during the summer of 2009. 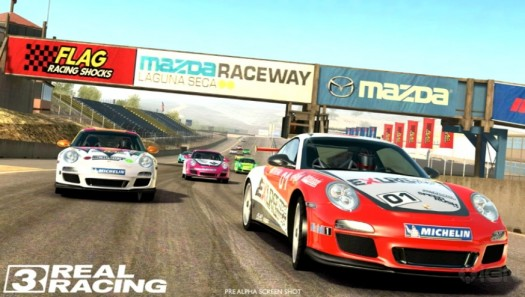 With great public out-roar, Real Racing 2 was released a year-and-a-half later in December of 2010. Now just a year-and-a-half later, Real Racing 3 has been announced for both the iPhone and iPad. You can expect the same great features to return, only with a plethora of new tracks and enhanced graphics. Watch the trailer below, if you love racing games, I’m sure you will enjoy this one. Real Racing 3 will be the first game of the Real Racing series to include real race tracks, including the Indy 500 and Silverstone Circuit. The game will also allow up to 22 cars to race simultaneously. EA expects the game to launch later this year. Do you plan to purchase a copy?